Stream anime episodes online for free, Watch One piece Episode 171 English version online and free episodes. Anime Episode guide One piece Episode 171 English dubbed The Roaring Burn Bazooka!! Pirate Luffy vs. Warrior Wyper! Luffy fights Wyper, but after some time, he falls into some underground ruins. 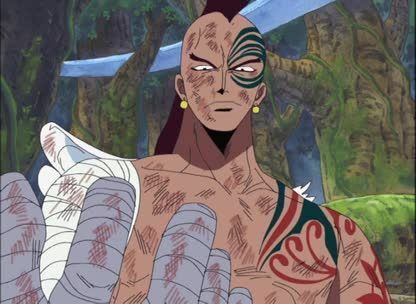 Meanwhile, Eneru appears on the Going Merry and after telling that his true goal was the City of Gold, he takes out both Usopp and Sanji; then he vanishes and leaves Satori’s brothers: Hotori and Kotori to avenge him.